Back when I started tenkara fishing, there were really only a handful of rods available in the U.S. It was easy to differentiate them because there just weren’t that many choices. And it was nearly impossible to get rods directly from Japan because of the exorbitant prices, slow shipping times, and language barrier. Fast forward to 2017 and there are now dozens of rods available from around the world. 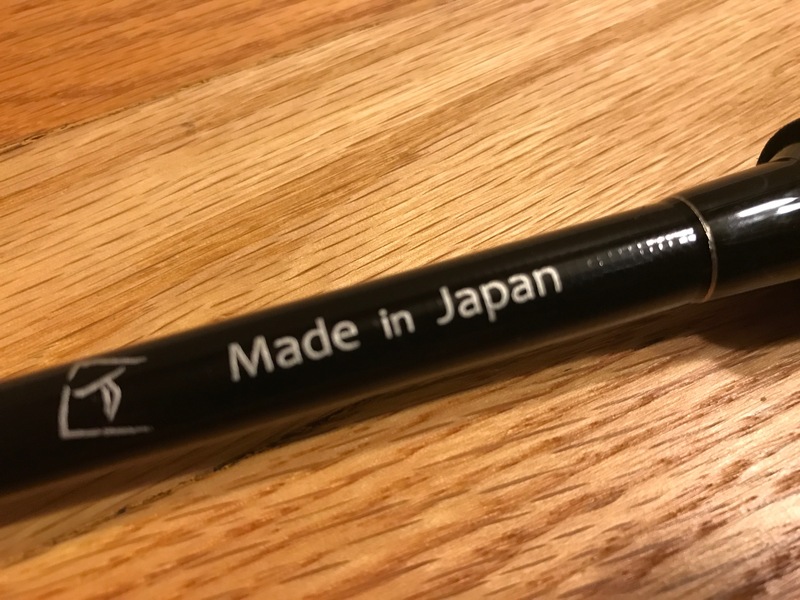 Japanese gear sellers now have English-language sites, offer PayPal, and many western companies have been importing the once “unreachable” rods making them much more easily accessible to westerners. Today, we have more options than ever before, and the once shrouded market now caters to us. On the surface, this would seem to be a good thing–a sign of the evolution of our sport. But I sometimes wonder if it’s a good thing or a bad thing. 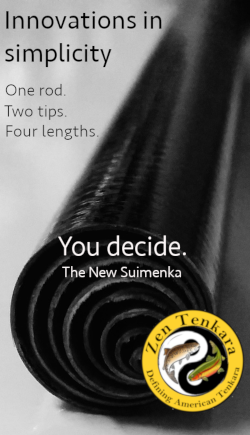 On one hand, the inundation of tenkara gear companies has given the consumer a freedom of choice unparalleled by any other point in our short history. However, it’s also created a lot of confusion. After all, there is such a thing as “too many choices”. And in any evolution, there will be hits and misses. I’ve seen companies come and go. I’ve seen amazing rods and rods that would better suited to cleaning the leaves out of your gutters. But the important thing, is that today, we have choices–choices to fit every casting style, riparian situation, and wallet. And to me, that’s a good thing. 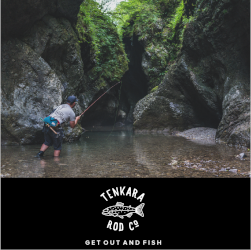 Enter the new Karasu rod from Discover Tenkara. Let’s get one thing out of the way first–the price. There’s already been a lot of talk on social media criticising the price ($420-$450 depending on the length). 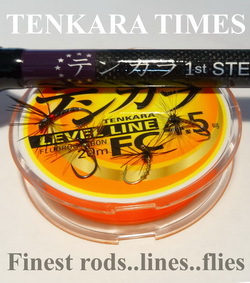 After all, tenakra has always been marketed as a cheaper alternative to the outrageous prices charged by western fly companies. I was flipping through a few western catalogs the other day and was shocked to see that the going rate for a premium rod is now $900 to $1,000! 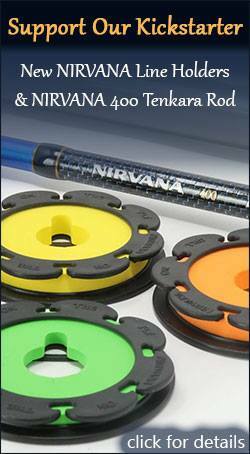 So to put in into perspective, paying half of that for a premium tenkara rod doesn’t seem so bad. And this is a premium rod. It’s not for everyone. Some will see the value in having a highly-crafted Japanese made rod, and others will be just as content with a $150 Chinese made rod. Personally, I don’t care where a rod is manufactured. But I do care about action, quality, and design. 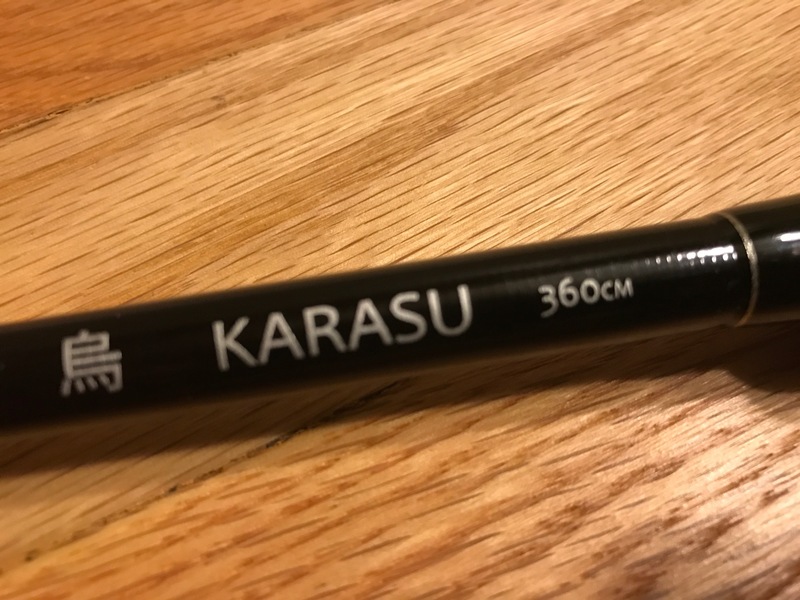 And with the Karasu, you will certainly not be disappointed with your investment. The tip recovery is excellent and allows you make very precise casts. It doesn’t flounder like some other rods that jerk your line around. It’s able to cast very light lines with ease (think #2.5 fluorocarbon lines). The makers say it will also cast nylon lines but I haven’t tried them because I’m mostly a fluorocarbon guy. It just feels light in the hand. It’s intuitive. It does what you want it to do and turns the line over almost effortlessly without thinking about it too much. And if you make a mistake in your cast, the rod almost seems to correct it and lay it out there anyway. 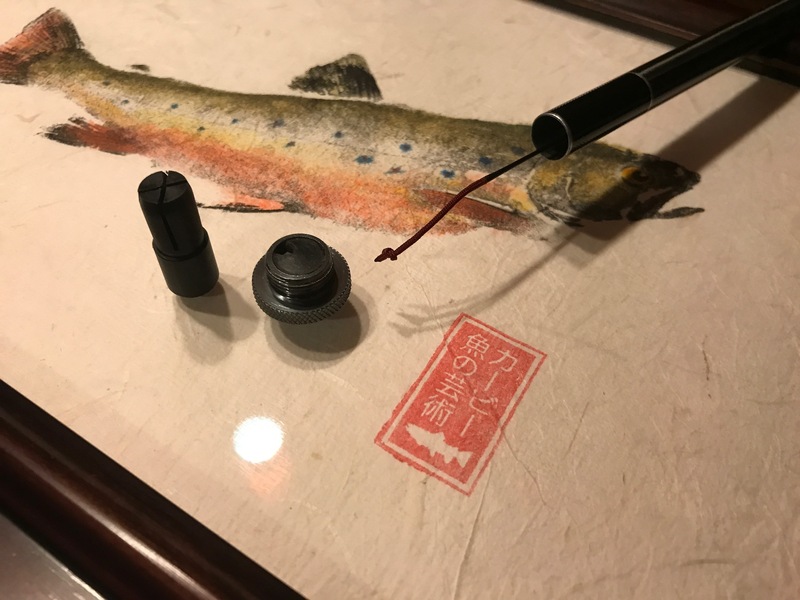 Discover Tenkara touts the Karasu’s “hook setting” ability, but I’ve never really had this problem. So while it might benefit some, I don’t really care so much about that. The small fish I catch pretty much hook themselves. The handle is a hard foam which is more durable than cork and gives excellent feedback. 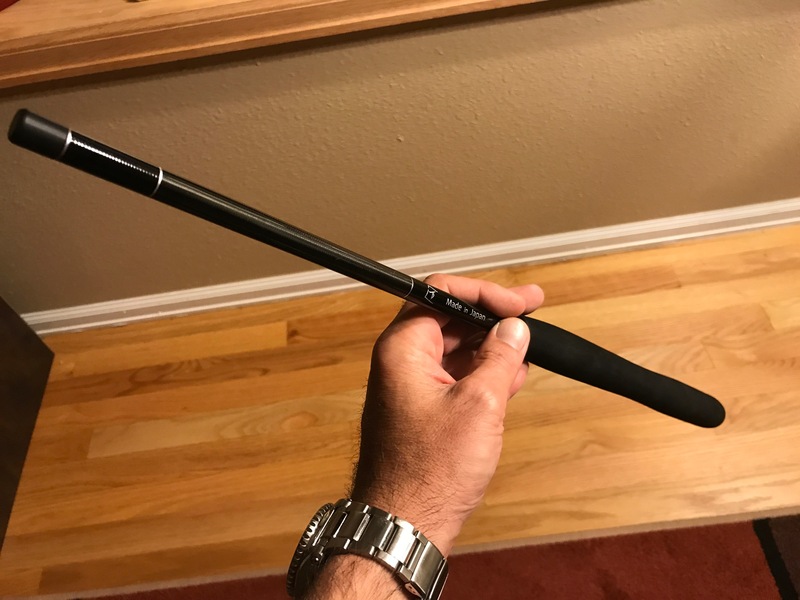 It’s contoured so you can comfortably hold the rod higher or lower on the grip. The end and lilian seem to be pretty much you’ll find on most tenkara rods. The blank is unsanded and sports the Karasu name on one side, and “made in Japan on the other. The end cap is metal, but features both a rubber cushion for the segments as well as a drain hole. Is the Karasu for everyone? No. And it shouldn’t be criticised for not being such. We now live in a tenkaraverse where there are many different options to accommodate the diversity our sport. Will you get a big smile on your face when you first cast one? Oh yeah. Will you be willing to spend half your paycheck to own one? Maybe not. 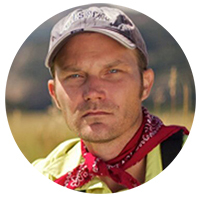 But to me, the Karasu represents a pinnacle we need in order to keep the sport fresh and keep pushing the limits of the range. Otherwise, we’re always going to be stuck in mediocrity. And how can a niche evolve that way? Now you’ve made me want to try one. How would you compare this rod to any of the oni rods? I was expecting and dreading this question. As I said in the post, I find it harder and harder to describe rod action now that we have so many choices. For that reason, I’ll defer to others to compare the Oni and the Kurasa. I will not get into that debate. 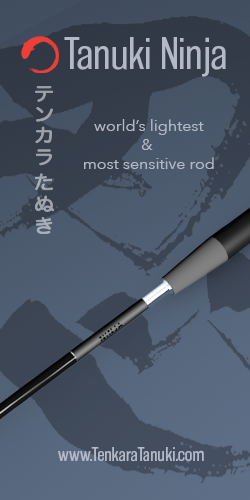 Let me ask this another way concerning the comparison of the Karasu to the Oni II rod. Wouldn’t it be better to own the Oni II compared to the Karasu, if you fish bead head nymphs and Kebari? To phrase a question somewhat like Jeff has done, if you had to fish one rod, and you were restricted to the Karasu or TUSA’s Sato, which one would you choose (and why)? And, thanks for a great review.